Welcome to the world’s first master class in pizza. Here, you will follow the chronological history of pizza from its traditional origins in 1738, delve into the science behind the making of superior pizza, hear from the leading pizzaiolo and follow a map of where to eat the best examples of each regional pizza style around the world. Read this report, watch these videos and visit these pizzerias in person or spirit and you will become a maestro in pizza and, most importantly, learn to enjoy pizza more -- if that is even possible. The author has lived in Italy and visited more than 2,000 pizzerias around the world including each pizzeria referenced here. Along the way, he has interviewed the pizzaiolo sweating away in front of their gorgeous ovens and added 10% to his body weight eating the world’s favourite food. The framework for this article is to track how ancient flatbreads blossomed into modern-day pizzas when tomatoes arrived in Naples in 1520. Pizzas went on to beget dozens of regional styles around the world in three waves across six global pizza centres: Naples, Rome, Buenos Aires, the New York pizza belt, Chicago and California. Wave one lasted 170 years as Naples pizza makers invented and perfected the smaller, simpler Neapolitan pizzas. Wave two lasted a further 100+ years as New Yorker’s proved that necessity is the mother of invention leading to the bigger, crispier, drier, thicker and more complicated pizzas that evolved regionally across America. Wave three began in 2005 as the Italians re-asserted their supremacy with a new wave of artisan pizzas. The impact of the master Pizzaiolo will be discussed as well. Flatbreads have existed for many centuries, with stories first emerging from the Persian Empire in 500 BC which told of the soldiers of King Darius the Great cooking flatbreads with cheese and dates on their shields over open fires. Virgil refers to the ancient idea of bread as an edible plate around 50 BC “See - we devour the plates on which we are fed”. Arab lamechuns and Greek pitas date back over 1,000 years, while focaccia in Sicily and the Pinzas from Rome also predate modern pizza by hundreds of years. It wasn’t until Spanish Conquistador Hernan Cortes brought tomatoes to Italy from Latin America in 1520 that tomatoes made it on to flatbreads. The celebrated San Marzano tomatoes were first grown in volcanic soil in the shadow of Mount Vesuvius. One story goes that the first seed of this particular tomato came to Campania in 1770 as a gift from the Viceroyalty of Peru to the Kingdom of Naples. San Marzano’s are the benchmark pizza tomato. Alexandre Dumas, the author of “The Three Musketeers,” studied the poor of Naples, noting in 1835 that they existed exclusively on pizza in winter and watermelon in summer. He identified pizza as a barometer of the economy with marinara pizza prices rising when fish were scarce and falling when fish were plentiful. A structure of pizza pricing existed with fresh pizza costing more than day-old pizza and stale pizza available for even less. There was a pizza credit system called Pizza al Otto, meaning you could pay for your stale pizza 8 days later which then became known as “the last supper” if you died in the interim. This piece of history is a dramatic reminder of how pizza rose from the food of the poor to become the world’s favourite food. 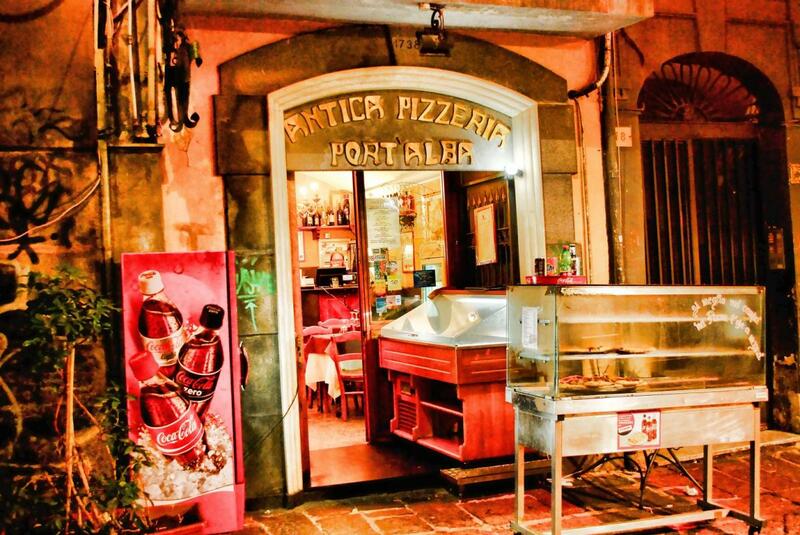 The world’s first pizzeria, Antica Pizzeria Port’alba (1738) was established in Naples as a stand for the tin stove vendors. A world treasure, with its oven lined with lava rocks from Mount Vesuvius, it is still in operation today in the town centre. In 1889, Raffaele Esposito From Pizzeria Brandi (1870) in Naples created pizzas for the visiting King Umberto and Queen Margherita de Savoy. Her favourite pie featured the colours of the Italian flag with red (tomato), white (cheese) and green (basil). The queen loved the combination, leading to the pizza being named after her. A letter of gratitude hangs at Brandi today. Since then, the Neapolitan Margherita pizza has become known the world over for its characteristics as smaller 10-inch discs with little more than tomato, cheese and basil presented in a wet style that benefits from a knife and fork. Naples forefathers created a society — the AVPN - Associazione Verace de Pizza Napolitano to protect and promote these characteristics and the city of Naples was rewarded for these 300 years of effort with a UNESCO designation of the cultural heritage of humanity in 2017. 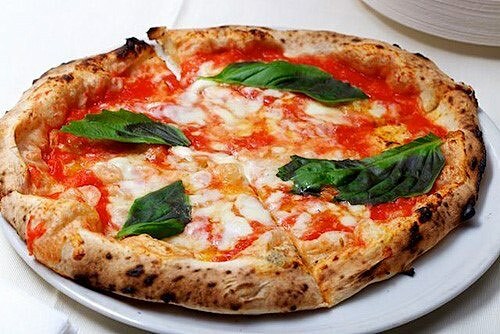 The spread of its craft has ensured a great Neapolitan pizza is available in most major cities around the world. Pizza Marinara is the less famous cousin and is essentially a cheeseless Margherita that was named after sailors who appreciated the easy to store and transport ingredients. The next historical wave started when Genaro Lombardi opened the 1st American pizzeria in New York City in 1905. As Italian immigration swelled, a pizza belt pizza belt was established from Philadelphia to New Haven and up to Boston. Rome and Chicago followed to lay claim to pizza royalty status only since WW2. Some traditionalists argue that Neapolitans are the only true pizzas and that all other pizza styles are derivative and secondary. The resulting arguments can reach the same “shouting match” levels such as other life and death debates like should tacos be soft or crunchy or whether or not you should put ketchup on a hot dog. Neapolitans are great, but so are the wave of regional pizzas that flourished from the offspring in New York, Rome, Chicago and beyond. These regional pizzas are every bit as good as the Neapolitans but they are very different. These styles have become bigger, thicker, drier, chewier and crunchier than Neapolitans. Indeed, some innovators are achieving exciting contrasts such as crunchier and softer in the same pizza like our entry from Copenhagen. Today, there is also a new generation of classically trained chefs and bakers who are experimenting with new approaches to baking the crust and are experimenting with innovative toppings and even formats (pizza cones). The remaining history will be expressed below through the featured pizzerias. Our approach here will be to establish the technical specifications of the Neapolitan pizza and then to identify how their pizzas descendants differ. Here are the eight ingredients of the Margherita pizza: Water, flour, Salt, yeast, tomatoes, cheese, basil and olive oil. The ensuing variations are infinite. Flour - Almost all Naples pizzerias use a powdery wonder called “00” from a single family mill in Naples called Molino Caputo (1924). They mill several kinds of wheat 25 times to achieve the fine texture ideal for pizza and sell a blue bag version with 12.5% gluten for the Neapolitan pizzas and a 13.5% version for “sturdier” American style pizzas. In the US gluten (protein) levels go up to 14%. Water - Not much to say about water except that lower minerality waters are best for Neapolitan pizzas and “harder” waters are better for the more robust American pizzas. Obviously chlorinated and other intrusive water should be avoided. Yeast - Ancient Egyptians discovered yeast accidentally when leaving water and flour in the sun causing a natural fermentation that would have produced better bread. Yeast converts sugars into alcohol which is why beer and pizza go so well together. It also releases bubbles that cause the dough to rise and become both light and chewy simultaneously. This effect is why well-made pizza is not as filling as one might expect. Napolitan’s require fresh yeast that stores for 2 weeks while most American pizzerias use active dry yeast (stores for 2 months). No decent pizzas use quick rise or frozen. Starters - Although starters are not permitted by APVN, they are being adopted to trigger the fermentation process as they often impart a “fresh bread” flavour, an “airier” texture and easier to digest dough. Starters are often saved from batch to batch with some having been known to be passed down from generation to generation. Many bakers swear by starters. Dough – Water, salt, flour and yeast are the only ingredients of Neapolitan pizza dough. Olive oil is added to achieve the crispy and fried qualities of Roman, Sicilian, Grandma and Detroit style pizzas. The Neapolitan doughs rise for two hours and then six further hours. Many fancier pizzas use dough that rises for up to 60 hours. Short proof times lead to the softer, chewier pizzas like the Neapolitans while longer proof times yield more durable thicker crusts. The Neapolitans are uniquely smaller at 10” as if they were any bigger the crust would fall apart. The dough may be machine mixed for AVPN but can only be hand rolled. Not even rolling pins are allowed. Roman and New York pizzas with higher gluten levels, lower humidity levels and longer proof times yield the stronger and crispier American pizzas. Fuel - There are romantic hierarchy that descends from wood-fired Neapolitan pizzas to coal-fired, New York and New Haven pizzas to (supposedly) inferior gas-fired (and electric) oven pizzas. 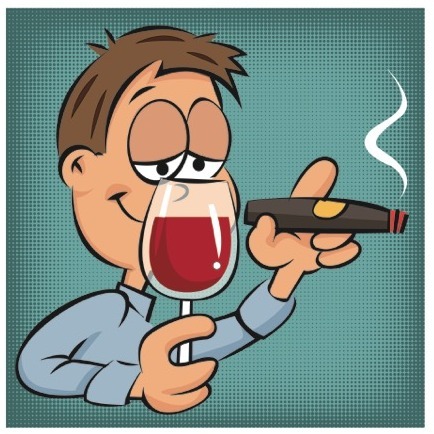 In general, that hierarchy has some merit as wood and coal impart a smokiness that is unique. But this advantage is challenged when you try excellent gas-fired pizzas from places like Di Fara (1959) Brooklyn and Frank Pepe’s (1925) whose New Haven website complains that wood gives off steam while coal burns hot and dry! Baking - Neapolitan pizzas are baked from 60 to 90 seconds at between 800 and 900 degrees while New York and other bigger and thicker pizzas bake anywhere from 2- 5 minutes at between 500-700 degrees. For really hot temperatures brick and stone-lined ovens are required. In Naples, many use volcanic rock from Vesuvius which adds both better temperature diffusion/maintenance and romance. In the oven – the Neapolitans are turned once and pulled out. Other pies may be turned multiple times and some are lifted to catch a dose of wood flame for smokiness and extra blistering. Tomatoes – The benchmark tomatoes are the pear-shaped, canned San Marzano tomatoes grown around the base of Mount Vesuvius. They are perfect for pizza due to their sweet taste, low acidity and high consistency. The surprising fresh taste of these canned tomatoes is due to them being “picked and packed” the same day in a highly manual harvesting and canning process. Pizza novices are often surprised that fresh tomatoes do not play a major role in most pizzas (although both fresh and canned are permitted by AVPN). The fact is tomatoes are notoriously variable in texture and quality from season to season and the canned San Marzano sauce provide the consistency needed to create a great pizza. Another way to think of it is that in a process that suffers from excess variability, canned San Marzanos are a source of reliability. Note that pizza sauces are very different from the thick, rich pasta sauces that benefit from simmering overnight. 95% of cans sold however are fake so look for the double DOP seals and certificate # on the bottom or sides of the cans. The fakes are materially inferior. Cheese – Mozzarella is a name derived from the Italian word to pinch when cutting the cheese. Mozzarella (in brine) is made with cow milk (Fior de Latte) which is smooth, silky and milky and is cut into strips. Buffalo Mozzarella is more full flavoured and robust but releases more moisture which can make already wet Neapolitan pizzas even soggier. Many pizza fanatics prefer Buffalo but only in the hands of very skilled pizzaiolo. In the USA the go-to Mozzarella is known as a “Caprese Loaf” which is a low moisture, dry mozzarella that is vacuum packed and is often hand grated onto the sturdier pizzas. Burrata is a mozzarella filled with cream and curds sometimes used as a super creamy speciality ingredient added to pizza after baking. Both Napolitans and New Yorks often benefit from a sprinkle of Parmigiano-Reggiano, Gran Padano or Pecorino on top. A key difference in fresh brined mozzarella on a Neapolitan style pizza is it must be eaten straight out of the oven while the drier New York pies are great for delivery and even taste good the next morning. The rules for Neapolitan pizza are very clear and many regional innovations seem straightforward on paper, so why is great pizza so hard to make? The reason is that dough is affected by small changes in environment. For example, as a pizzeria heats up during the day, changes in temperature and moisture can cause the dough to harden or fall apart. The levels of wood or coal and the numbers of pizzas being made at any given time can change the outcome significantly. The moisture levels in the cheese and/or tomatoes can vary even from cheese to cheese and tomato to tomato. These ever-changing micro-conditions can overwhelm the quality of ingredients and wreak havoc on great pizza recipes. A baker faces many of these challenges but when resolved, she bakes all of her bread at the same time. Pizzas get made one by one in conditions that change hourly. This is where a skilled, individual pizzaiolo can evaluate a dough and make adjustments to compensate for the infinite number of hurdles that bedevil the process. The best can deliver exceptional pizza consistently under highly variable conditions. This also explains why your favourite pizza may not be great the next time out. It also explains why old-time pizzerias with long-serving employees remain great for years and decades as they retain skills that are not present in newer pizzerias. 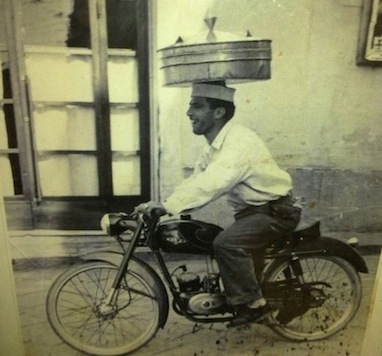 Antica Pizzeria Port’alba (1738), was established in Naples as a stand for street vendors who kept pizzas hot in small tin stoves balanced on their heads. It then converted into the world’s 1st pizzeria in 1830. A world treasure, with its oven lined with lava rocks from Mount Vesuvius, it is still in operation today in the town centre and the pizzas on the simple menu are traditional and lovely. A visit here is your 1st essential step towards a true understanding of the history of pizza. In 1889, Queen Margherita of Savoy was in Naples to celebrate the reclamation of the city. She wanted to try the city’s most famous dish and summoned the head pizzaiolo - Raffaele Esposito from Pizzeria Brandi (1780). He served traditional pizzas from Naples including the classic with cheese, tomato and basil which the Queen loved as apart from being delicious it featured the colours of the Italian flag- Tomato (red), Cheese (white) and basil (green). She then sent a letter of appreciation which can still be seen at the pizzeria which caused the pizza to be dubbed the “Margherita” and history was made. Da Michele (1906) was immortalized in 2010 by Julia Roberts in Eat, Pray, Love. Beyond the hype, the pizza is great. If you can score the table next to the oven you can experience the pizza being made, baked in the oven and served piping hot right in front of you in under 90 seconds. They spin the dough ball flat in three spins, spread it straight on the pizza peel and bake it for 60 seconds before popping it hot on your table. The quality and an intangible magic enshrine Michele as the finest combination of taste, experience and tradition for Neapolitan pizza. 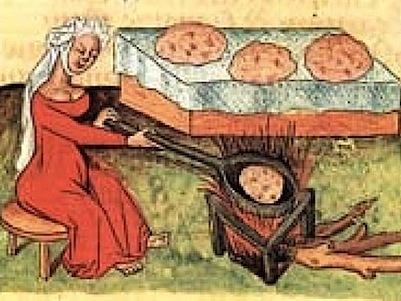 Rome invented a light flatbread version of focaccia called the Pinsa around 200 AD and seemed well on their way to inventing pizza but, despite being just 2 ½ hours from Naples, there was no pizza culture in Rome until after the 2nd world war. The Pinsa pizza predecessor can be sampled at the excellent La Pratolina (2001) by the Coliseum. The restaurant Est, Est Est (1888) became Rome’s 1st Pizzeria in the early 1900’s when the pizza oven was added. It was decades later before pizza took off but the Romans caught on quickly with the thin crispy crust pizzas that are a vivid contrast to the soft, wet Neapolitans down the road. The Romans add Olive Oil to the dough (an AVPN crime), flatten the edges and cook at lower temperatures (around 500 degrees) with longer bake times of 2 - 3 minutes to get a thinner, cornicione and a crispier, cracker-like centre. This is a very significant difference between two of the world’s great pizza centres. Two great spots for these classic pizzas are Da Remo (1976) and the beloved Li Rioni (1986). Rome also contributed a focaccia like pizza a taglio which are cut with the scissors by the slice and sold by weight. Rome also birthed two pizza geniuses: Stefano Callegari discussed here and Gabrielle Bionci discussed below in the future of pizza. In 1995 Stefano burst upon the pizza world with a truly excellent pizzeria featuring classic Roman pizzas as well as inventing the infamous Cacio y Pepe pizza with a pepper grinder smack in the middle. Most inventors would have been fine with that but he and his partners went on to open Trapizzino (formerly 00100) where they invented the pizza sandwich which is essentially a focaccia stuffed with Roman delicacies like oxtail. Stefano is at the intersection of tradition and innovation and is a worthy candidate for the Pizza Hall of fame especially since he loves ultra charred crusts (as do I). Half the Argentinian population is descended from Italy so their pizza obsession is understandable. While the southern Italians went to New York, the Northerners went to Buenos Aires. 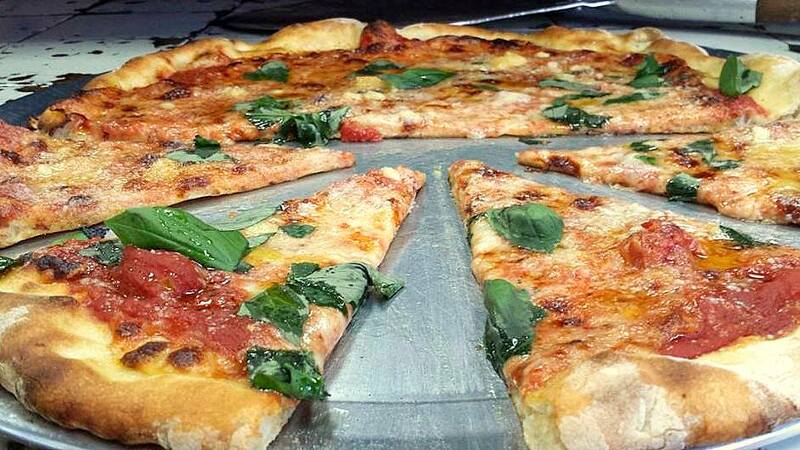 It is therefore not surprising that New York style pizza is a thinner, tomato-based pizza while in Buenos Aires you find thicker, cheese-based pizzas. The 1st recorded pizza was recorded 7 years before the invention of the Margherita in Naples by a Neapolitan baker Nicolas Vaccarezza who sold a simple recipe of dough, garlic, olive oil, and onion from a rented oven on the streets in “La Boca” neighbourhood in 1882. Augustin Banchero then created the legendary, cheesy “Fugazetta” in his bakery Riachuelo (1889). His son Juan then founded Banchero (1932). His contribution of Fugazetta to Pizzadom is truly epic. It is a deep dish of onions, mozzarella, black pepper and Olive Oil. Las Cuartetas 1936) and since then it’s most famous pizzerias El Guerrin (1932), and El Cuartito (1934). Las Cuartetas (1936) is also famous locally for the Pizza Salvatore made with Mozzarella and anchovies. The best Fugazetta is served at La Mezzetta (1939) – make sure to order it with the edible chickpea plates that slide under or on top of the slice and which you will see nowhere else. 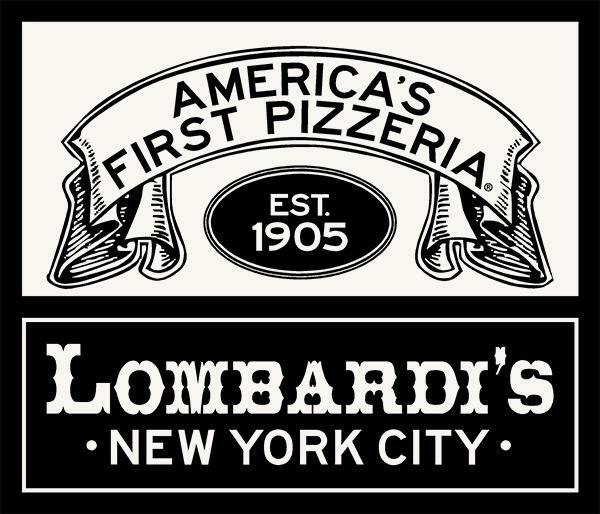 The original Lombardi’s (1905) sprouted a vast and contentious family tree of New York Pizzerias that firmly established New York as a distinct style of pizza period. This distinction in pizza style is crucial as the birth of New York pizza kicked off the 2nd 100 years of innovation in regional pizza styles as the Americans took the lead in pizza innovation. Lombardi’s was where the pizzaiolo worked from an astounding array of the greatest New York pizzerias. The students of Lombardi's went on to Totonno’s (1924) in Coney Island, John’s of Bleeker St (1929), Patsy’s (1933) in East Harlem and Grimaldi’s(1941) Brooklyn. Patsy Grimaldi owns a special place in history having opened an outpost called Patsy’s (then losing the name) Renaming it Grimaldi’s (which he sold) and then, when the original Grimaldi’s moved a few doors down – opening again in the original spot as Juliana’s (2012) named after his mother. A pro tip is to try Julianas and Grimaldis back to back as they are next to each other and decide for yourself which of the feuding pizzerias makes the best pizza. Our pick is the original Patsy’s in East Harlem where they reportedly invented the slice of New York pizza and where the pepperoni still tastes best. Gennaro Lombardi started the business in 1897 as a grocery store at 53½ Spring Street and began selling tomato pies wrapped in paper and tied with a string at lunchtime to workers from the area's factories. In 1905 Lombardi received a license to operate a pizzeria, and soon had a loyal clientele, including Italian tenor Enrico Caruso. Lombardi’s is where the major New York pizza dynasty’s got their start including Totonno’s, John's, Patsy’s and Grimaldi's. This is an essential pizzeria for historical reasons but the pizza is outstanding on its own merits. If there is any question about the potential excellence of gas-fired ovens try one of the most lauded pizzas in the world at Di Fara (1959). Each pizza is made by Dom DiMarco who makes each pie from fresh dough. His recipe is unique using a mix of canned San Marzano tomatoes and fresh tomatoes as well as ¾ Buffalo Mozzarella and ¼ American mozzarella “Grande” with a sprinkle of Grana Padana at the end. With oregano imported from Israel and fresh Basil on his windowsill, Dom is one of the great pizzaiolo legends. Make sure to stop on Staten Island for great pizza at Denino’s (1937), Lee’s Tavern (1940) and Joe & Pats (1960) before arriving in New Jersey to try Papa’s (1912). It is the longest continuously open pizzeria in America because Lombardi's closed for several years during the 80’s. Papa’s is also known for it’s inverted “Tomato Pies” that lay down the cheese (very little) first and then the tomatoes. A related phenomenon can be found in Philadelphia where bakeries serve rectangular trays of Tomato pies with no cheese at all. They are baked in the morning and served fresh with Iannelli's Bakery (1910) laying claim to one of the oldest and best. Heading North to New Haven you will find the home of Apizza. “ A-Beetz” is a local Italo-American dialect that took hold in this pizza mad city. Here you will find the world-renowned pioneer Frank Pepe (1925) who is known for his tomato pies as well as for inventing the fresh clam white pie in 1950. Pepe boasts about their coal-fired brick oven burning hot and dry compared to wood-fired ovens that “give off steam”! In a further historical contribution, they were credited with using women’s corset boxes as the world’s 1st pizza boxes. Nearby Modern (1934) placed the 1st known order for actual pizza boxes in 1945. Among a dozen other renowned pizzerias, a hidden gem can be found over in West Haven where Zuppardi’s (1932) bakes a fresh clam pie to rival Frank Pepe. History buffs will find all kinds of other tidbits (supplied by New Haven historian Colin Caplan) including New Haven origins for the 1st American pizza truck, vending machine, home pizza kit and advertisement to college students at Yale. Further up the road in Boston is Santarpio's (1933) which does a sausage and garlic pie that is truly remarkable as well as a bakery – Parziales (1907) – that challenges Papas as the longest “continuously running” pizzeria in the USA. All of these pizzerias are at the heart of major Italian – American immigrant populations stretching from Philadelphia to Boston. Gas-fired, deep dish has put Chicago into the big leagues with Naples, New York and Rome. It all began at Pizzeria Uno (1943) that then spawned a family tree of great Chicago pizzas. From UNO followed Pizzeria Due and then Gino’s East (1966) took off when two taxi drivers snatched Alice, the Pizzaiola from Uno to copy and spread deep dish fever. Rudy Sr’s son Lou launched Lou Malnatti’s (1971) which some aficionados believe to be the tastiest chain with an entire wall-to-wall sausage layer placed over the cheese (and under the tomatoes). When he first opened on St Patrick’s day, he famously quipped: he opened an Italian restaurant in a Jewish neighbourhood on an Irish holiday. Finally, Rudy Malnatti Jr launched Pizano (1991) to keep the family tradition alive. Both of the Malnatti brothers pizzas feature “butter crusts” instead of olive oil and have less toppings than their imitators offering a “slightly lighter” experience. While New York is a pepperoni town, Chicago is firmly sausage. The standout, deep dish pizza in Chicago is the caramelised “burnt crust” beauties from Pequods (1970). Deep dish started in Chicago at the corner of Ohio & Wabash. Ike Sewell, an ex-University of Texas football star decided to open a restaurant with his pal Ric Riccardo. Bemoaning wimpy Italian pizzas they recruited Rudy Malnatti and Alice May Redmond to come up with a “more substantial” pizza. The recipe is ingenious with the dough being pressed into a deep olive oily pan which fires the crust crispy. The 2nd innovation was to invert the layers with the cheese going on 1st so it would not burn. The cheese is then followed by the “toppings” in the middle with the crushed tomatoes going on last. Historic! Pizzas topped with farmers market ingredients were invented by Jeremiah Tower in 1974 at Chez Panisse. When he ran out of standard pizza ingredients, they covered the pie in seafood left over from the bouillabaisse the night before. Alice Waters went on to perfect a nettle pizza for which she became famous and which is still often on the menu. The California pizza boom really took off in 1980 when Wolfgang Puck was blown away by a mustard, ricotta, pate and red pepper pizza served by Ed LeDou who was experimenting at a restaurant called Prego in San Francisco. 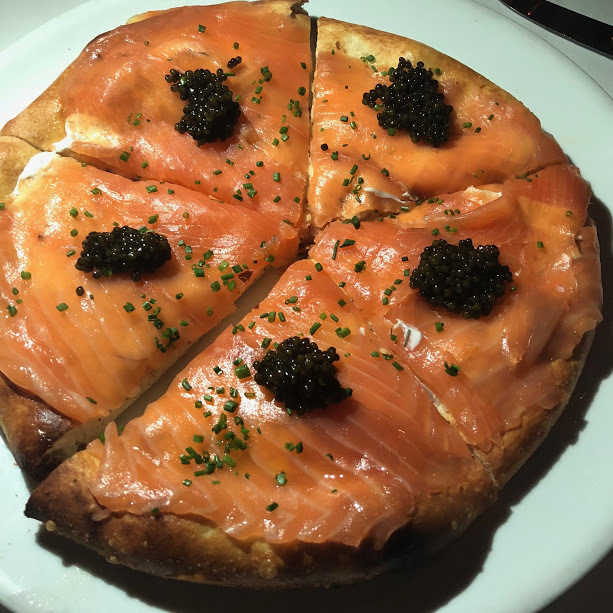 Wolfgang hired Ed to make pizzas at Spago where he became notorious for a “Jewish Pizza” made with salmon, crème fraiche and – later – caviar that was a signature dish at the restaurant and Oscar parties. Ed later went on to consult for California Pizza Kitchen where he invented the bbq chicken pizza that put California pizza on the national map. 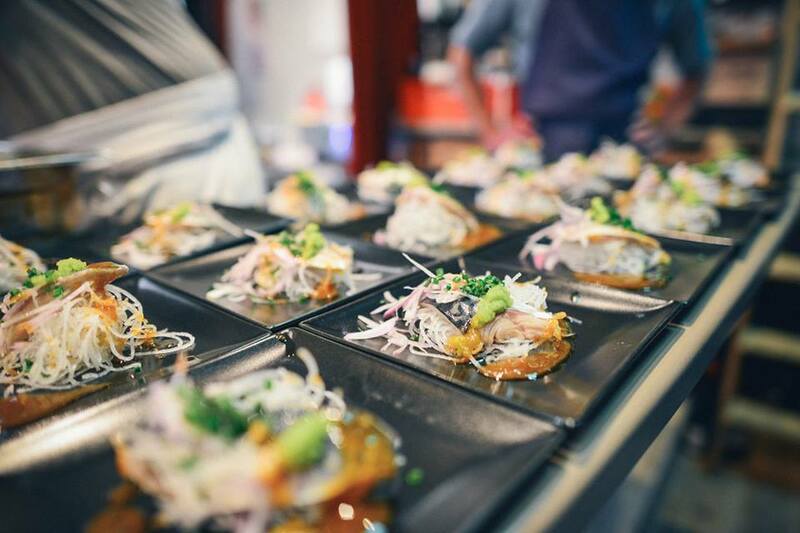 This approach made it back to London when Jason Atherton at Maze grated white truffles on to a crispy flatbread with onion puree, white truffle paste, fontina cheese, mozzarella, pancetta, ceps and fresh herbs for over $100 a pop. 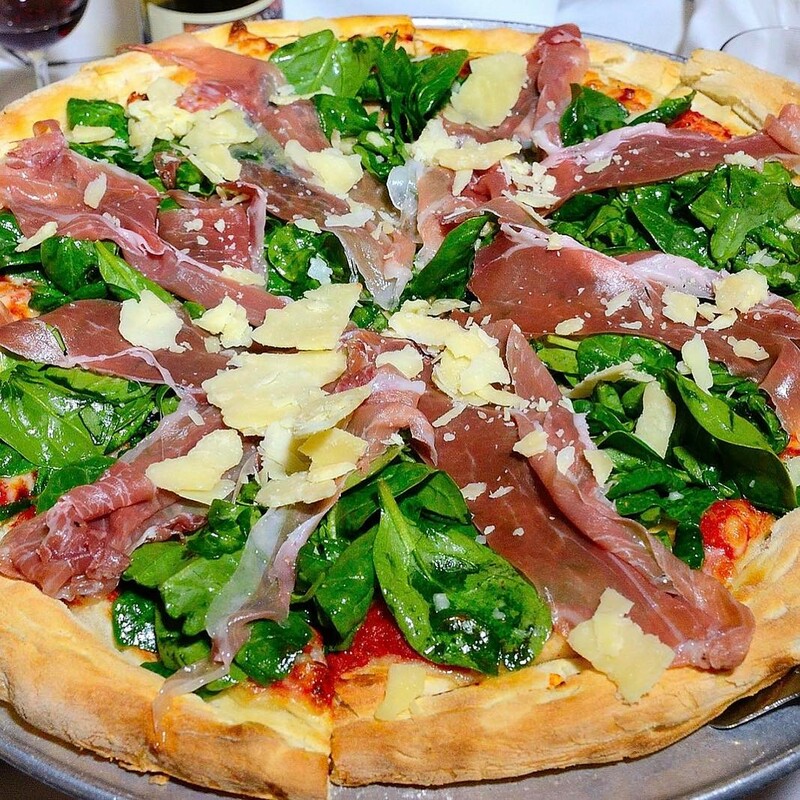 San Francisco has a prominent baking community and pizza tradition that dates back to Tomasso’s (1935). The Cantalupo family who had immigrated from Italy installed the west coasts 1st wood burning brick oven. Both Alice Waters and Wolfgang puck are said to have modelled their pizza initiatives after Tomasso’s. Another innovator is Cheeseboard Collective (1991) who have been baking for 50 years. They started in the late 80’s smearing their cheeses on hot sourdough for their co-workers and originated the one pizza a day offering with vegetarian pies made with all kinds of cheese (no tomato sauce). A special shout goes to Tony Gemignani. He first became known for his pizza tossing acrobatics but then went on to astonish the pizza world by winning the World Pizza Championship in Naples Italy in 2007 - he was the first non-Italian to achieve this feat. He also invented a unique four oven (Cuatro Forni) pizza at his restaurant Capo (2012) in San Francisco. In some ways, Tony crowned 100 years of American pizza achievement in 2007 by snatching the crown from the Italians at the same time a revolution was unfolding back in Italy as the third wave of Pizza innovation took off. Franco Pepe furthered the revolution when he opened Pepe in Grani (2012) between Rome and Naples. He was a baker first who revised each process step. Franco pioneered so-called “zero kilometre” sourcing by ensuring that each ingredient came from within 5 kilometres of his pizzeria. Today, he has continued to innovate with a tasting menu that includes the Ciro: a pizza cone filled with Grana Padano cream and pesto. Boom! A further tip of the hat must go to Enzo Coccia at La Notizia in Naples for his dedication to teaching and educating about pizza skills. I Tigli in Verona came out 1st in a Gambero Rosso list of best Italian pizzas in 2012. His $40 creations are straight from the California Pizza Kitchen school. This honour was clouded, however, by the list not featuring a single Naples Pizzeria that year! ITALY: One might think there are 1000’s of great pizzerias in Italy but because pizzas are very inexpensive they do not motivate chefs to buy the best ingredients. I lived in Italy and tried hundreds of pizzas and agree with the conclusions of Lorenzo Franceschi-Bicchierai who concluded that most pizzas in New York are better than most pizzas in Italy. 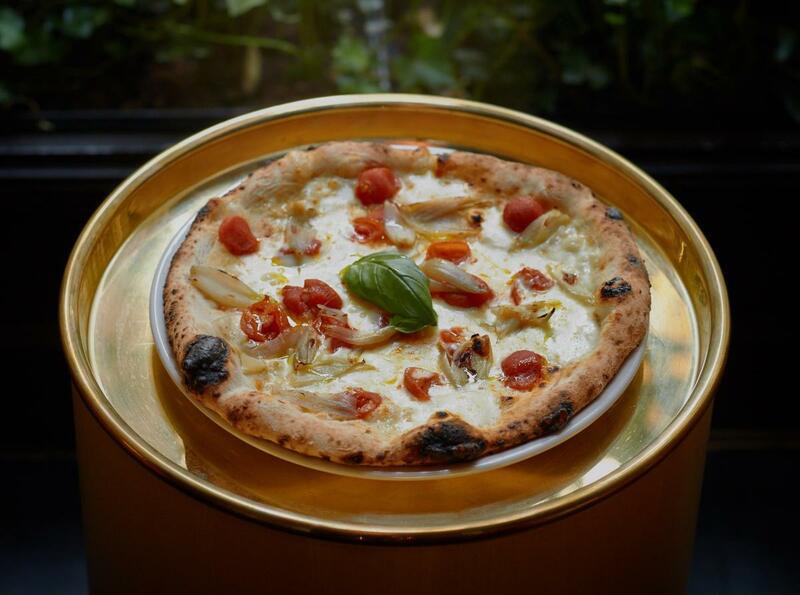 JAPAN: Pizza in Tokyo has come a long way, and many folks trumpet Japanese pizzas from Seirinkan, Pizza Studio Tamaki and Savoy as world class. Indeed, they have made great strides with their AVPN-compliant Margheritas and Marinaras as they have achieved lovely charred and blistered crusts but their sauces are often under-seasoned and watery and as a result, the pizzas are not as harmonious as they should be. I suspect they will continue to improve in the future because the Japanese are perfectionists! BRAZIL: This country has the highest per capita consumption of pizza in the world and indeed on Sundays families dress up in their finery and go for pizza. The pizzas, in general, lack character and regional flair even at the most celebrated spots, like Braz In Sao Paolo. There are some great deep dish pizzas around the world starting with a legend on the far west coast of Sicily. Calvino is the definitive classic thick crust and trademark oblong shape. Uniquely, there is no sauce- just cherry tomatoes! 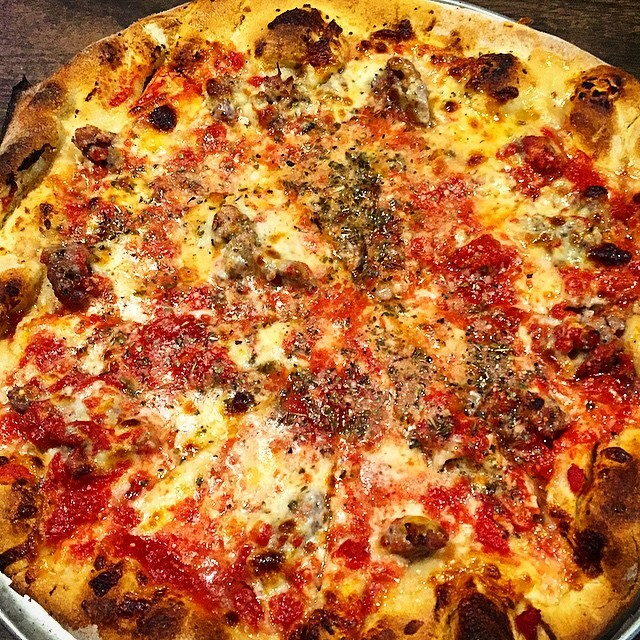 The benchmark Sicilian pizza in New York is L&B Spumoni Gardens (1939) which is a neighbourhood gem that makes the best Sicilian pizzas outside of Sicily. In Detroit, Buddy’s speakeasy (1936) began making rectangular tray pizza in 1946 that has recently become popular across America at great places like at Emmy Squared in Brooklyn. A similar style called Grandma was created on Long Island when King Umberto’s started selling pizzas to customers that employees had been making for themselves. Two other American pizzerias deserve mention. Pizzeria Bianco (1987) became the urban legend in the totally NOT pizza centre of Phoenix in 1987 when Chris Bianco began making every pizza by hand with house-made mozzarella and grew his own basil. He now mostly supervises what still remain excellent pizzas at his various locations. Al Forno (1980) serves a truly innovative pizza created by mistake when they ended up grilling a pizza over coal flipping it and adding the toppings – an oddball classic. In a quiet corner of middle England Story Deli (2010) makes the world’s most innovative pizza. Artist Ann Shore and her husband, Lee Hollingworth make an organic, yeast free cracker thin crust that makes thin Roman pizza seem like deep dish. Up in Copenhagen, fans talk about Baest that featured in Ugly – Delicious but really the action is over at Neighbourhood where they acknowledge and pay homage to Story Deli with similar cracker thin beauty that has a softer centre for contrast. As described above, there have been 280 years of pizza history so far. The first 170 year wave of pizza innovation was dominated by Italy. The second 100 year wave of regional pizza innovation was dominated by the American's. This second wave peaked in 2007 when Tony G. became the first American (and indeed, non-Italian) to win the World Pizza Championships in Naples. In the past 15 years, the third wave of artisan innovation has swung firmly back to Italy with Bonci, Bosco, Martucci and Pepe leading the way. It will be interesting to see what the Japanese do and to watch (and eat) where pizza, the world's favourite food, goes in the coming decades. The research here reflects a debt of gratitude to the XtremeFoodies experts in each city and to my good friend Daniel Young, whose landmark book “Where To Eat Pizza” should be owned by all serious pizza lovers.